I met with Holly and Ernest back in June for their engagement session when they had come up from their home in North Carolina for some wedding planning. 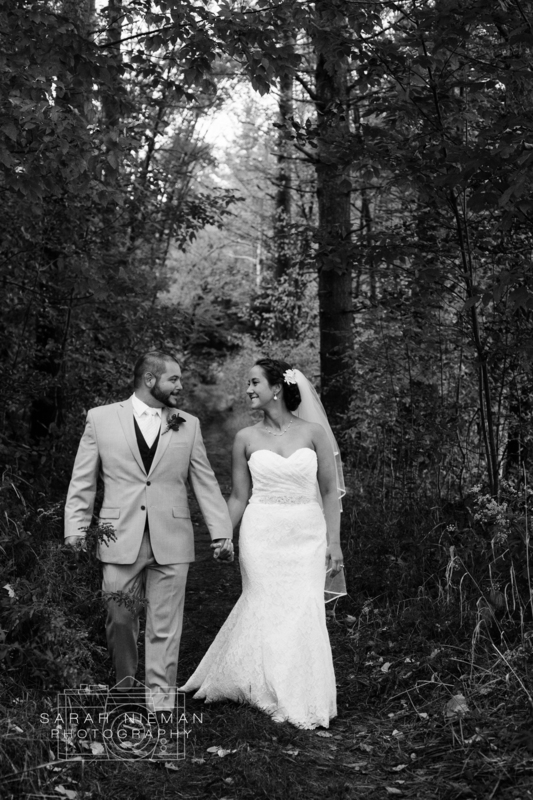 Since then, I have been so excited for their October wedding and it was just as amazing as I imagined! 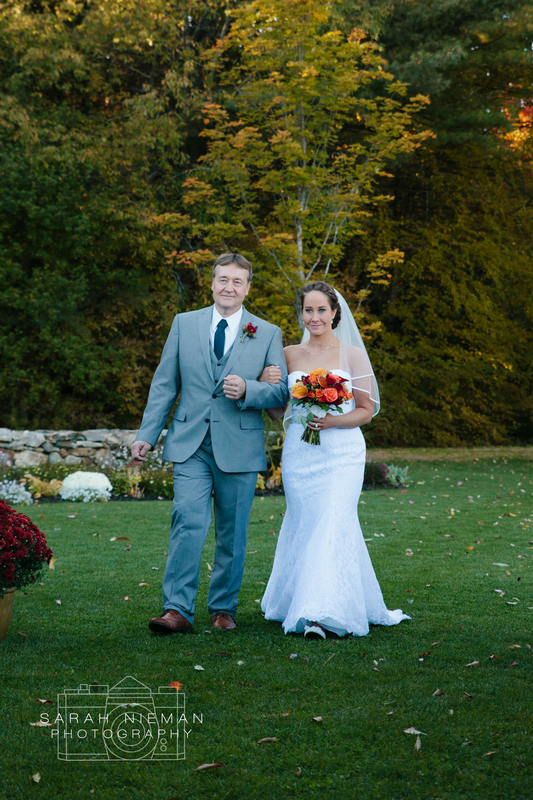 The fall colors were perfect, the weather was bright and chilly, and they were surrounded by the best people. Thanks for letting me and Lulu be a part of your day, you two! Thanks to my amazing second shooter Lulu for this shot! I love this patch of light. Any wedding with apple cider donuts is a perfect wedding. 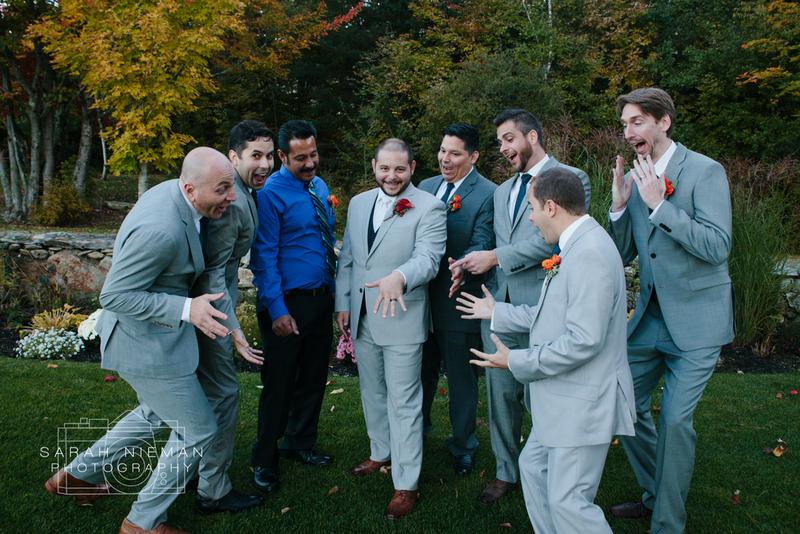 My favorite part of a wedding: seeing the groom's face when his bride walks down the aisle. 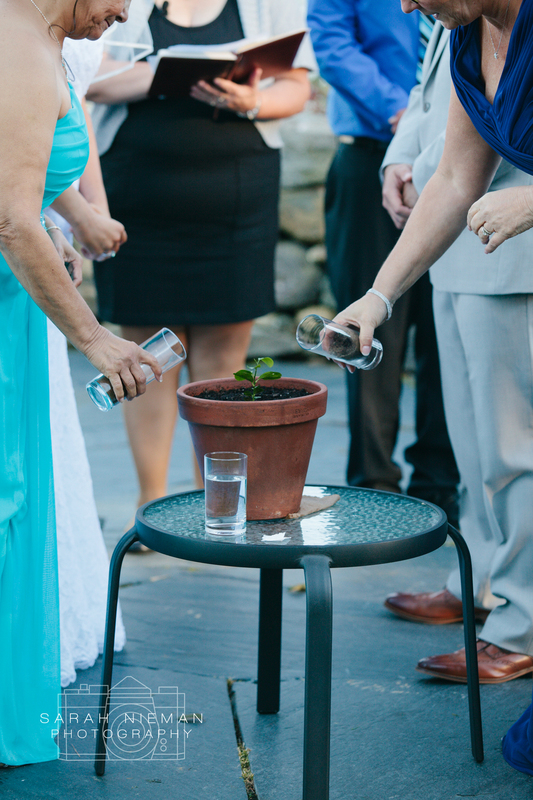 After the vows, Holly and Ernest's mothers were brought up to pour soil into the pot for their unity tree! So sweet, right? 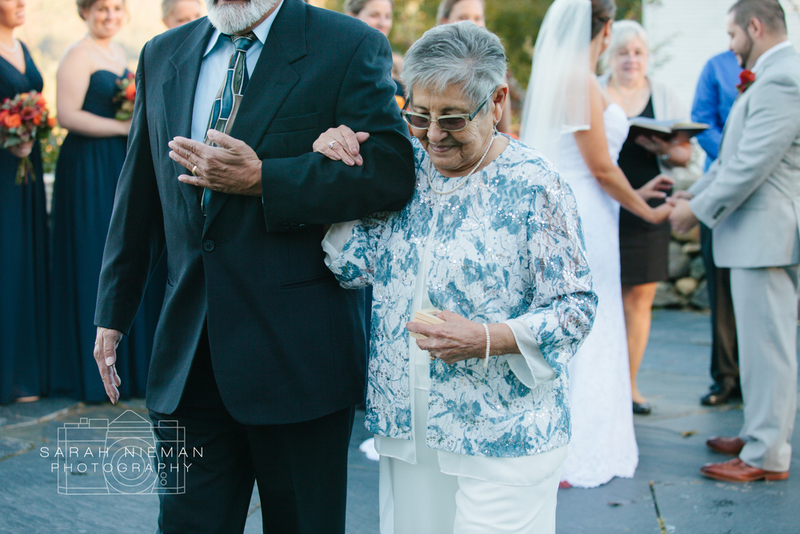 And Ernest's grandmother was the ring bearer! This spot in the woods was so magical. 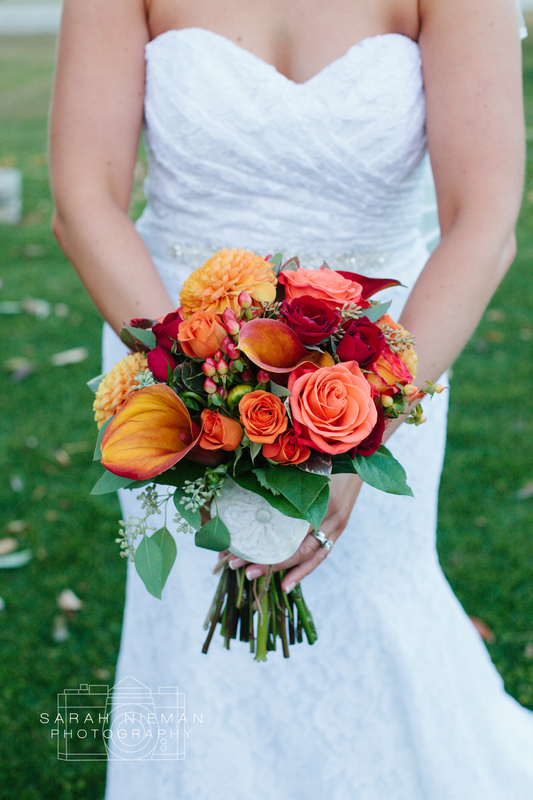 I couldn't get enough of these flowers, so much orange, such perfection! Perfect for an October wedding. 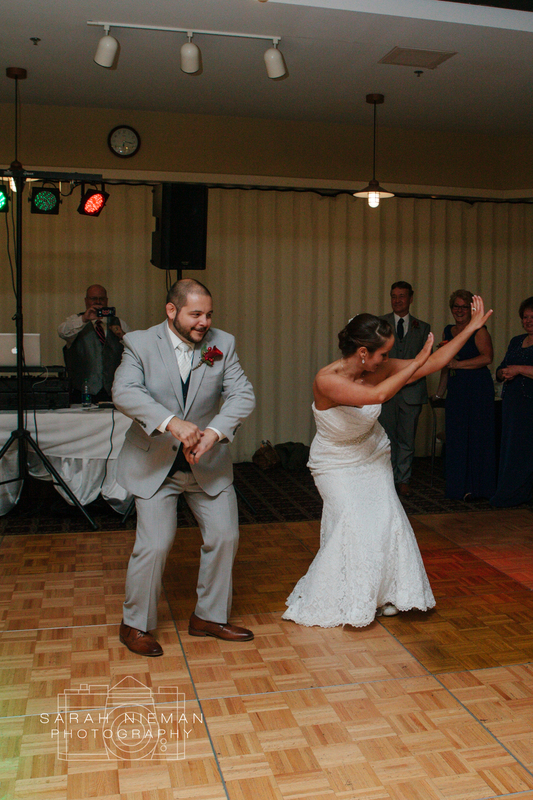 So fun story: I've seen so many first dances and none like Holly and Ernest's! They descended the staircase during introductions and went right into a choreographed dance to Shut Up And Dance, one of my favorite wedding songs of the year! It was pretty fantastic. Parent dances make me so happy. 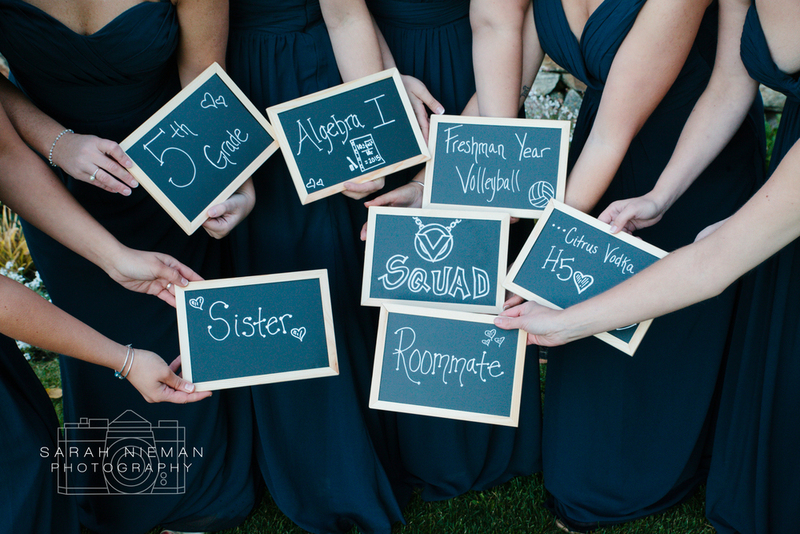 Best bridesmaids ever! They were rocking out the whole time. I kind of really love these two. Thank you to my amazing second shooter Lulu for being my rock through the day! And to Holly and Ernest, congratulations! You both are such wonderful people and I know you will have an amazing life together.